(Beyond Pesticides, August 6, 2014) Shorewood, Minnesota has become the first city in the state, and the third city in the nation to pass a bee friendly policy. The city council unanimously approved a “bee-safe” resolution that encourages planting bee-friendly flowers and restricts the bee-killing pesticides, neonicotinoids. The city has already begun planting clover, which will provide nectar and pollen forage for bees in city parks. A group of Shorewood residents, concerned over reports of bee decline, came together to ensure that bees in their community have access to healthy forage and habitat. In a prime example of grassroots activism, the group urged their neighbors to plant pollinator-friendly plants, and to take care of lawns without using products harmful to bees. The resolution, passed last week, encourages the use of bee-safe processes in parks, education to residents on bee and pollinator safety, and other bee safe practices. Neonicotinoids, the class of chemicals identified as playing a major role in bee decline across the globe, have been banned from city property. While the city itself has not been using neonicotinoids, Mayor Scott Zerby says the policy ensures that the city does not use the chemicals in the future. The Minneapolis suburb is also planting clover, which can provide nectar and pollen for bees, in three city parks. Patricia Hauser and her husband, hobby beekeepers, galvanized into action after noticing their bees were dying. In January, they started the group Humming for Bees. Since then, they have been actively engaging their community on the importance of bees and the factors affecting their decline. At churches, schools, farmers markets, nature centers and neighborhoods, they spread the word about the bees’ plight and how people can help. Now, the group is paying for, planting and watering clover seeds in vacant areas of Cathcart, Freeman and South Shore parks. Earlier this year, Shorewood city leaders sent a letter of support to the state Legislature to pass the law forbidding nurseries from putting “bee-friendly” labels on plants containing neonicotinoids. In May, the bill – HF 2798 – was passed by Minnesota’s House and Senate stipulating that plants may not be labeled as beneficial to pollinators if they have been treated with detectible levels of systemic insecticides. In similar action, beekeepers in Minnesota this year have also called on the state’s Department of Agriculture to suspend the use of corn seeds treated with neonicotinoid pesticides, citing the contamination of flowers and plants from field dust which leads to the poisoning of honey bees. Shorewood follows the City of Eugene, Oregon which became the first community in the nation to specifically ban from city property the use of neonicotinoid pesticides, citing recent research demonstrating a link between pesticides that contain neonicotinoids and the loss of plant pollinators, including honey bees, native bees, butterflies, moths, and other beneficial insects. This action was driven by several bee-kill incidents that occurred in Oregon last summer, including one that killed more than 50,000 bumblebees after a licensed pesticide applicator sprayed blooming linden trees, a violation of the pesticide label. In June, the city of Spokane, WA voted to discontinue the use of neonicotinoids on city property, making Spokane the second in the nation to take action to protect pollinators. According to legislators, the ban is part of an undertaking to implement environmentally sustainable initiatives at City Hall. 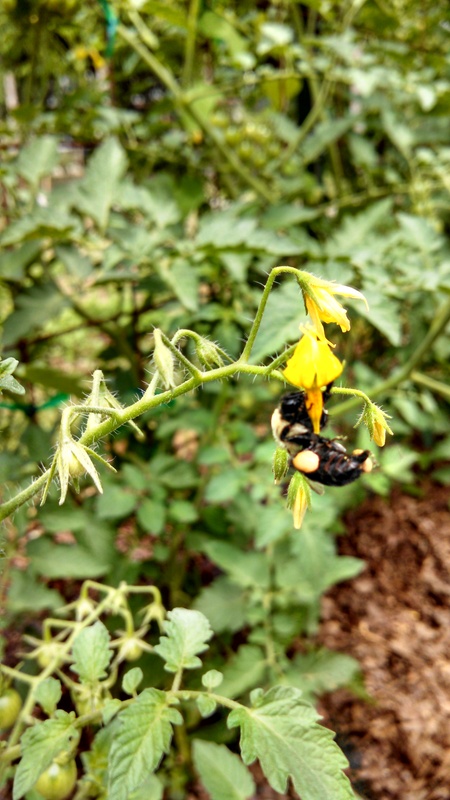 Other communities like the Melody-Catalpa neighborhood of Boulder became the first “bee-safe” locality in Colorado this past June, pledging to not use neonicotinoids and other systemic pesticides in the community. In Congress, Saving America’s Pollinator Act, H.R. 2692, introduced by Representatives John Conyers (D-MI) and Earl Blumenauer (D-OR), is gaining support in the House. The bill aims to suspend the use of neonicotinoid pesticides until a full review of the scientific evidence has been conducted that demonstrates no harmful impacts to pollinators. Get your Representative to support this bill! Neonicotinoids, like imidacloprid, clothianidin, thiamethoxam, acetamiprid, and dinotefuran, are widely used as a seed coating on agricultural crops, and in home and garden products applied to flowering plants and vegetables. Studies have found that bees are exposed to neonicotinoid pesticides through pollen and nectar, as well as via contaminated soil, dust, and water. They have also been shown to impair bees’ ability to learn, to find their way back to the hive, to collect food, to produce new queens, and to maintain a healthy immune system. Most recently, a Harvard School of Public Health study, published in the Bulletin of Insectology, shows two widely used neonicotinoids appear to significantly harm honey bee colonies over the winter, especially during colder winters. Read the report No longer a Big Mystery. Like the Hausers, you too can become a community activist and transform your community into one that supports bees and other pollinators, as well as encouraging your local leaders to pass bee-friendly policies. For more information, contact Beyond Pesticides. For more on pollinator protection efforts and what you can do in your community, visit BEE Protective. Also, sign the pledge to BEE Protective. This entry was posted on Wednesday, August 6th, 2014 at 8:42 am	and is filed under Alternatives/Organics, Announcements, Chemicals, Minnesota, National Politics, neonicotinoids, Pesticide Regulation, Pollinators, State/Local, Take Action. You can follow any responses to this entry through the RSS 2.0 feed. You can skip to the end and leave a response. Pinging is currently not allowed. Thanks so very much Shorewood, MN for taking this much needed action!! I would love to see every city, town etc take this stance against the use of harmful pesticides! This article is heartening, but Shorewoods spraying of milkweed plants that are so necessary for monarch butterflies is very discouraging.